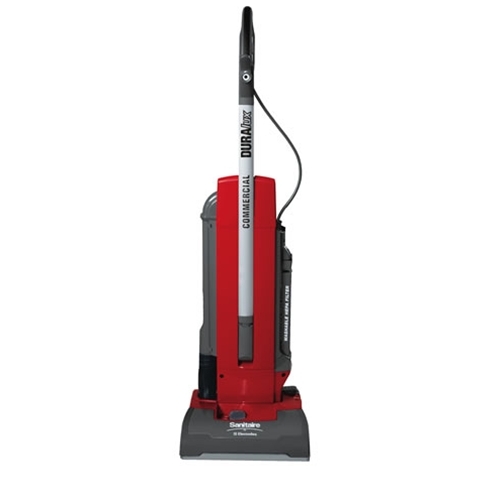 Durable, versatile, easy-to-use and easy to maintain, this two-motor system with its convenient two position switch makes carpet, and bare floor cleaning a snap. - Wide Channel Air path for superior carpet cleaning. - Quick disconnect power cord reduces downtime and costly repairs. - Ball bearing steel brushroll with replaceable bristles and permanent belt reduces operating cost. - Easy access "Drop In" bag. Dust Capacity 4 dry qts.